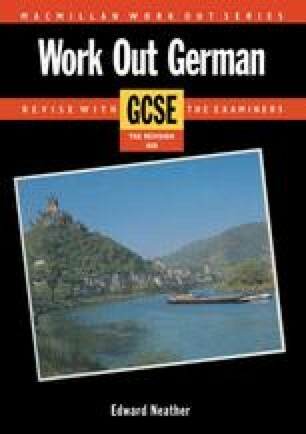 Leaving school and finding a job can be a worrying process, whether one lives in Great Britain or in one of the German-speaking countries. The first reading passage below presents a table showing the ten most popular jobs for which school-leavers, boys and girls, were training in 1981. Then follows an account of the choices facing four young West Germans, and finally a letter from one of the four, who is applying for an apprenticeship with a local firm.